iPort's Launch Port system uses magnets and wireless charging enabling you to effortlessly dock an iPad on a wall or table, without fuss. The system consists of a docking Station and an iPad Sleeve. 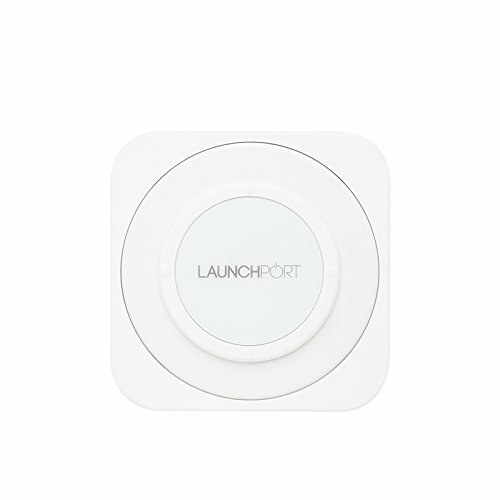 The Launch Port Wall Station installs onto most surfaces and holds iPad securely on the wall while it charges wirelessly. The Wall Station works with any Launch Port iPad Sleeve (sold separately). With Wall Station, iPad has a home base, is always charged, and is ready to grab and use. Dedicate an iPad with a Launch Port system to control your smart home or conference room tech. Ships with power adapter and international connectors for use in most countries. If you have any questions about this product by iPort, contact us by completing and submitting the form below. If you are looking for a specif part number, please include it with your message. Griffin Cove USB 5- Port Charging Station, Dark Ebony - An elegant place to store and charge everything.